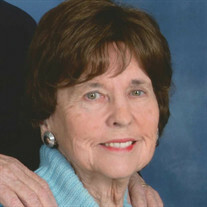 Ruby Helen Hurley, 78, of Kingsport, died at home after a brief illness Thursday morning, January 10, 2019. Born in Bristol, VA, she had resided in Kingsport since 1960. Ruby was a homemaker and was a member of Sullivan Baptist Church. She was a devoted wife, mother, grandmother, sister and friend. In lieu of flowers, memorial contributions can be made to the Shriner Hospital, 950 W. Fair Rd., Greenville, SC 29605.